The Internet and the Web are parts of our daily lives. How did they begin? What networking protocols and programming languages work behind the scenes to display a web page? This chapter provides an introduction to some of these topics and is a foundation for the information that web developers need to know. 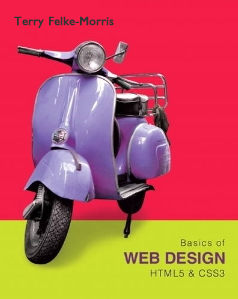 This chapter also gets you started with your very first web page. You'll be introduced to Hypertext Markup Language (HTML), the language used to create web pages. Resource websites and chapter links are listed below. The US Access Board released a final rule in January 2017 that updates the Section 508 requirements to harmonize with WCAG 2.0 Level A & AA Success Criteria. 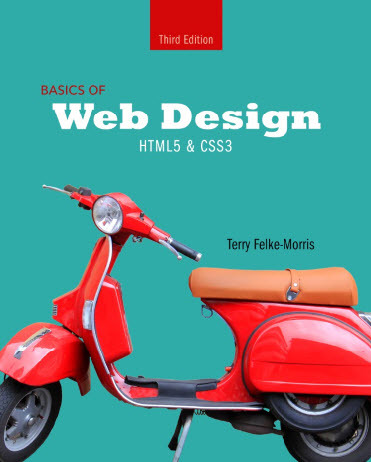 The Basics of Web Design: HTML5 & CSS3 textbook follows the WCAG 2.0 Level A & AA Success Criteria so students are prepared to create accessible websites. It often seems like all the best .com domain names are already taken, but that won't be a problem much longer with ICANN's release of new generic Top Level Domain (gTLD) extensions. New gTLDs that were announced late 2013 and early 2014 include a wide variety of options such as those listed below. A complete list of new gTLDs is available at http://newgtlds.icann.org/en/program-status/delegated-strings. Major domain registrars, such as GoDaddy are offering preregistration for many of the new gTLDs. Has the Internet changed the way that you communicate with your friends and family, work on school assignments, research and compare products? If so, how? Cite specific examples. How do you think it will impact these activities in the future? To see an overview of the evolution of the Internet between 2002 and 2012, view "The Internet a Decade Later," an infographic by http://www.bestedsites.com. What changes do you consider most important, most surprising, and most influential? Choose one topic that interests you. Make a prediction about the state of the topic ten years from now. The full name of ICANN is "Internet Corporation for Assigned Names and Numbers"
The .ly country-code TLD represents the General Post and Telecommunication Company in Lybia. Each web page has a basic structure with a DOCTYPE statement and html, head, title, meta, and body tags. Check your understanding of this structure with this Web Page Structure Practice Activity.